Colorado River cutthroat trout populations have declined across their range. Currently the major threats are habitat degradation, non-native species, and climate change. Due to concern about non-native species, one management strategy is the removal of non-native fish species and stocking from a captive brood source. Translocation success rates for cutthroat trout are often less than 50%. Increased knowledge of stocked fish survival and movement post-stocking is needed to understand why cutthroat trout are failing to establish and improve translocation success rates. 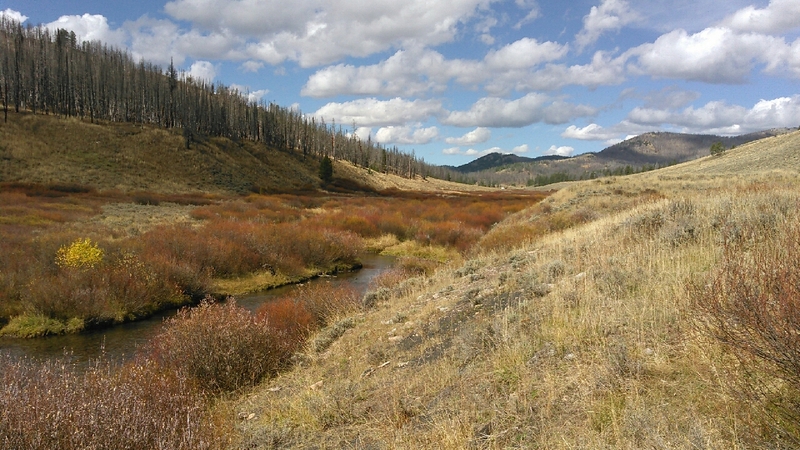 This project is a collaboration with Wyoming Game and Fish Department and is taking place in LaBarge Creek, Wyoming, the site of a large-scale restoration project where hatchery-reared Colorado River cutthroat trout have failed to establish or reproduce. This study will provide useful insight into the causes of establishment failure. It will also provide information on the best time, size, and habitat in which to stock fish to maximize translocation success.